Launched on 21st of August at the local fashion artist and curator Irman Hilmi’s boutique The Offday in Kuala Lumpur, Converse Jack Purcell Fall 2014 Collection is now available in Malaysia and the Cross-Stitch sneakers are looking classy and, for the lack of a better word, “adorable” at the same time – outfitted in premium & quality leather (which makes it look totally elegant and most probably waterproof) with cute little cross-stitches at the side of the laces and a thick “smiling” line on each toecap. 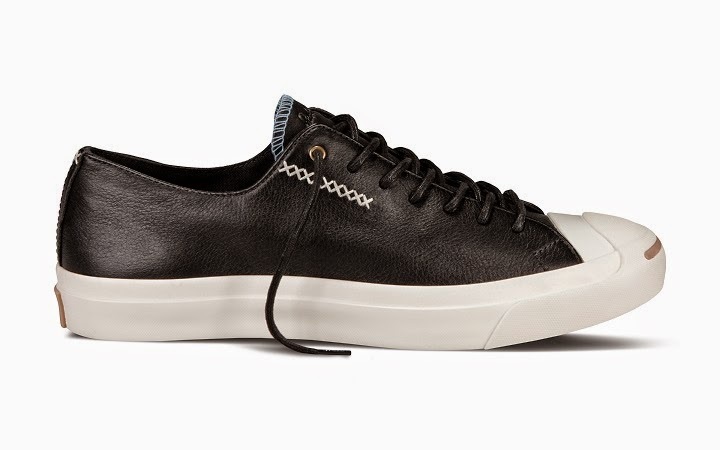 Converse Jack Purcell Cross-Stitch is the hero of the Fall 2014 for Jack Purcell’s range – a waxed cotton cross-stitch detail – outfitted in leather, a core texture for seasonal dressing. The premium and quality leather materials and subtle stitching details in the sneaker collection are refined and built with all around comfort. The launch venue, The Offday, is in the centre of Bangsar’s Jalan Telawi 3 (on top of another shop, go up through the stairs beside it). Going with the theme of classic old-school vibe and do-it-yourself culture with a hint of neo-punk rock, the Jack Purcell Pop-up Store offers the visual curation of Irman Hilmi’s retail experimentation. Go check it out when you’re shopping for some new clothes or fashion accessories. can teach me how to install facebook social plugin in blog? I intro you to my teacher: Google.